Jane Freemont is a British young lady with a very big problem. She is a modern girl…but she lives in early 19th Century. Jane has a critical, inquiring mind that is always ready to state her honest opinions- no matter whom she may inconvenience. This causes the young gentlemen to run away from her- for men surely can welcome women’s criticism so much more than they do. But that’s our loss. Jane’s older brother, and only living relative, has sent her to live far away where he believes her critical and inquiring mind will no longer create problems for him. 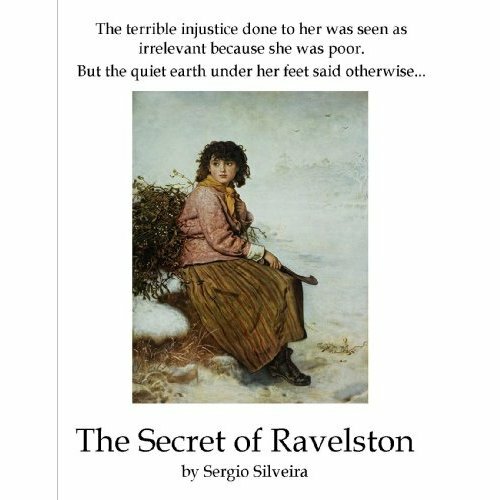 But as Jane arrives in beautiful Ravelston, she becomes determined to discover the fate of another, yet much less privileged, young woman who has mysteriously vanished. In Ravelston no one seems to care about what happened to Mary Hale, who was seen as unimportant because she was poor. But Jane will risk everything, even her future, to find out the truth. And Jane will discover that powerful love, when not accepted in oneself, can be the cruelest thing there is. Besides historical fiction, mysteries and thrillers are my favourite reading genre. The Secret of Ravelstone seemed to combine those two genres so I just couldn't resist it. As the story begins Jane Freemont has been sent to live with her uncle, the Rector of Ravelstone. She is intrigued by the town; a part of it is boarded up, and immediately senses a mystery in the disappearance of former servant Mary Hale. No one seems to be really to tell her about Mary Hale's fate and her uncle is acting a bit weird so when she is invited by Lady Ravelstone to spend some time at her home she jumps at the chance. There she is introduced to the Lady's son, Andrew, and her niece Carla. She enjoys the novelty of her new friends, Andrew is a sort of dark and brooding young man that seems fated to become Jane's romantic interest, but when she overhears some of the servants speaking of Mary Hale she can't but continue her investigation. The action does pick up towards the end, the descriptions become more vivid and the action more fluid as Jane gets closer to the truth and finds out that really happened to Mary and the town. I really enjoyed that ending and the supernatural twist gave it an interesting touch. Even though I no longer live in Canada-I must admit I am partial to Canadians when they stop by my blog-Canada is always in my heart. 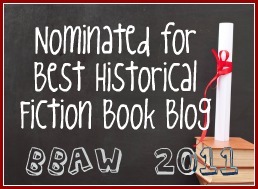 Do you have any Canadian historical fiction you can suggest? We would be happy to do a HT Recommends post on the subject. It should be up in the next couple weeks. That's good that this book picked up for you, Ana. I think it is his first novel, so hopefully his writing in general will follow the same formula as this book. Yes, I was thinking it might be his first book. I wonder if he is planning to write more with the same heroine, it felt a bit like it was the beginning of a series.